With Quebec in the midst of a labour shortage, employers across several sectors see an opportunity in recently arrived asylum seekers. Like many asylum seekers who have recently arrived in Montreal, Junior Amisial is eager to build a life in Canada. Originally from Haiti, the 31-year-old had been living with his wife and three children in Florida for two years, but crossed the border illegally from the U.S. into Quebec in August. They are part of a wave of thousands of people who have left the U.S. to seek asylum in Canada in the past year. 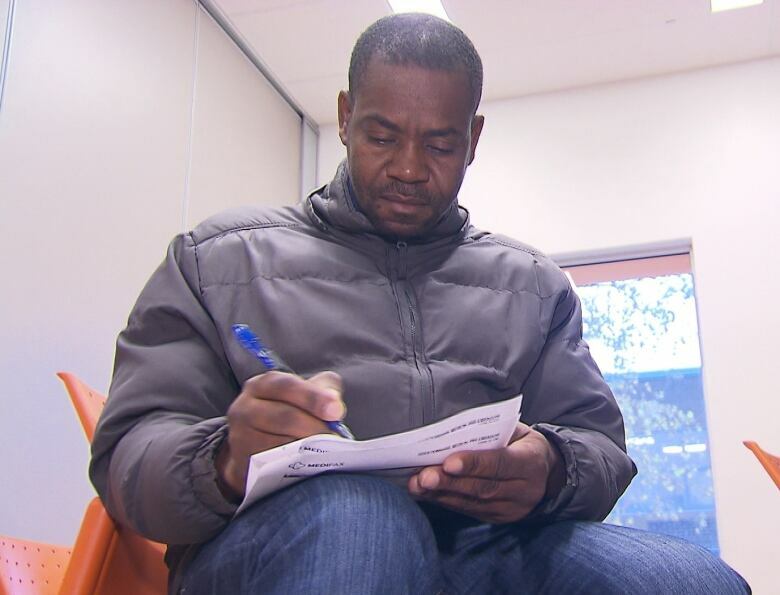 While he waits for his hearing at the Immigration and Refugee Board to find out if his refugee claim will be accepted, Amisial has found an apartment, a school for his kids, applied for a work permit from the federal government and is now looking for a job. "Having a job is the first step," he said. "I can start working in Canada to get off of social assistance and start paying taxes to improve my life." Quebec is in the midst of a labour shortage brought on by an aging population and economic growth. The province's unemployment rate was 5.4 per cent in November, one of the lowest rates in Canada, and Quebec's lowest in decades. It means employers across several sectors are desperate for both skilled and unskilled workers, and some see an opportunity in the recent wave of asylum seekers like Amisial. "It's a win-win opportunity," said Yves-Thomas Dorval, head of Quebec's employers' council. "For the people it will be much better for them to work for an employer and make revenue and help them to support their family and so forth than staying and doing nothing. And they want to work." Since last January, RCMP in Quebec have intercepted more than 15,000 people who have crossed the border into Quebec to claim asylum. Some of those new arrivals are now looking to enter the labour market. The federal government says it issued nearly 3,000 work permits to asylum seekers between July and November. On a recent afternoon at Maison d'Haiti, Montreal's Haitian community centre, about 100 people – mostly Haitian asylum seekers – attended a recruiting session held by the poultry and pork processing company Olymel. "They are ready to hit the ground running, they're ready to feel autonomous, empowered," said Daisy Alcindor, a financial literacy consultant at Maison d'Haiti. She said several companies have turned to her organization looking for help to find workers. Olymel is looking to fill more than 500 jobs at plants across the province. 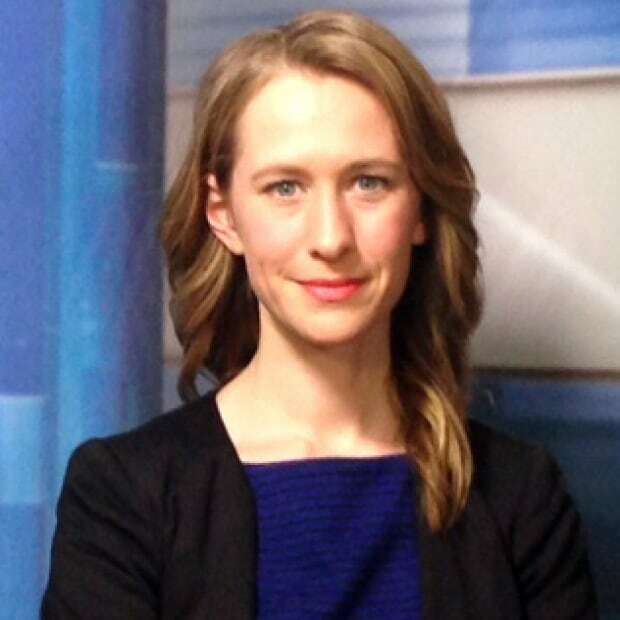 Spokesperson Richard Vigneault said the company sees the recent wave of asylum seekers as a potential pool of new workers. "They need money, of course, for their living and they need work," he said. "If they've got a work permit, of course, we are very interested in those people." Some of the positions on offer at Olymel are difficult to fill, in part, because the work is physically demanding and often in plants outside of Montreal. The jobs can involve slaughtering or processing poultry or pork in a cold factory. Still, Vigneault said they are full-time, permanent positions that pay between $14.80 and $21 an hour, and that their plants are unionized. 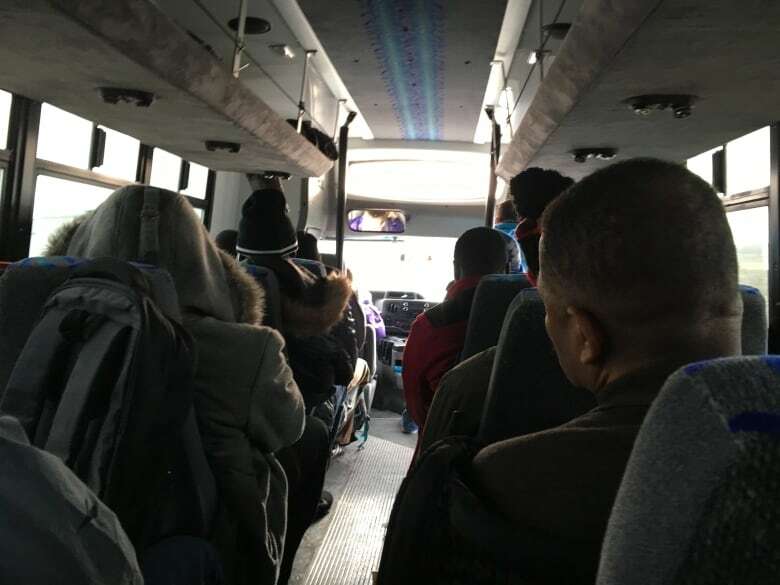 As part of its recruiting process, Olymel recently chartered a bus from the Maison d'Haiti community centre to its Unidindon turkey slaughtering plant in Saint-Jean-Baptiste, about 50 kilometres east of Montreal, bringing a busload of applicants in for interviews. Amisial was one of them. He knows the work would be hard and the commute tiring, but said it's worth it for a steady job. At the plant, he had his interview, highlighting his experience doing similar work. Afterwards, he was hopeful he would land a job. "I will do whatever it takes to earn a living," he said. "If we don't work, we won't progress." The problem is, Amisial's work permit didn't come through on time – so the company couldn't hire him for the first round of jobs. His permit did come through a few weeks later, and he said he has since been hired by the plant to start this month. Fellow Haitian Jude Lafortune, who arrived in Canada in August, was hired by the plant in early December. "Everyone here is very, very welcoming," he said as he suited up with a hairnet and white coat, preparing for work on the factory floor. Lafortune said he sees this as a stepping stone to a life in Canada but, like many others, he is still waiting for his immigration hearing to find out if he will be allowed to stay in the country long-term. Despite employment opportunities, Maison d'Haiti Director General Marjorie Villefranche said her organization is monitoring the recruitment of asylum seekers closely, because their uncertain status can leave them open to exploitation. "This is a concern that we have and this is why when we accept to cooperate with the companies, it's because we are sure that the conditions are good and the pay is good," Villefranche said. For now, Villefranche sees it as a good match between employers desperate for help and workers eager to land jobs so they can feel rooted in Canada. "It's a good step for them," she said. "They can live there and feel free because they work and their kids are well, and the family is well. This is what they needed. They needed that security."